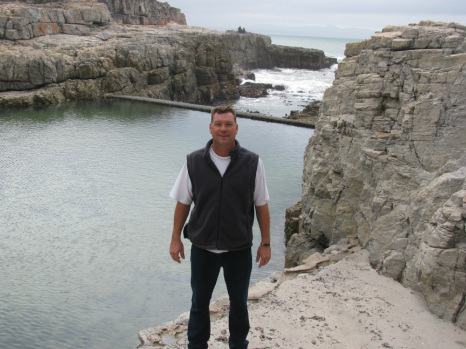 Born in Port Elizabeth in the Eastern Cape of South Africa, Andrew Penn has lived in Johannesburg and for the past 32 years in the beautiful City of Cape Town. Schooled at King Edward VII School (KES) in Johannesburg and Diocesan College (Bishops) in Cape Town and completed a Diploma in Transport and Logistics at the University of Johannesburg. Andrew has traveled extensively in South Africa from an early age whether it was on one of the many family caravan camping holidays to new destinations each time or competing and traveling for the National basketball league or traveling in professional business life. He has been in some form of logistics all his life, starting a career with the SAFREN group and then also being part of a start up family business in the express parcel delivery service industry for 12 years and since 2003 changed from cargo logistics to advising people efficiently in Tourism. From Global Parcel Solutions (GPS), GPS South Africa was born. "This service is designed to help you make the right choices before committing to a tour or business schedule for South Africa, of which you have no first hand advice or knowledge." For the past 16 years, having a passion for people and foreign cultures, being extremely active in the field as a tourist guide, experiencing a spread of nationalities and cultures of people from around the globe, leading and showing off the best qualities and scenery South Africa can offer and has earned vast experience in dealing with an imaginary of itineraries all of which have direct bearing towards a successful and enjoyable time in South Africa, from vacations, business incentive tours or sport tours and experiencing those itineraries of bad planning, creating unhappiness and depleted expectations. "The idea for this service has been developing over many years in my mind whilst experiencing the good times and the bad times of the hundreds of tours I have participated in and realising the need for accurate, informative information for travelers to South Africa has been extremely apparent." Andrew Penn. Please contact us for more information, we'd love to hear from you!